As we celebrate this Thanksgiving season, PRL extends our warmest gratitude to our valued customers. Thank you for choosing us as your glass and aluminum supplier and keeping us in business since 1989. Without you, we wouldn’t be here. We are grateful for your loyalty, patronage and support. Thank you for allowing us to serve you and provide you with the highest quality products. 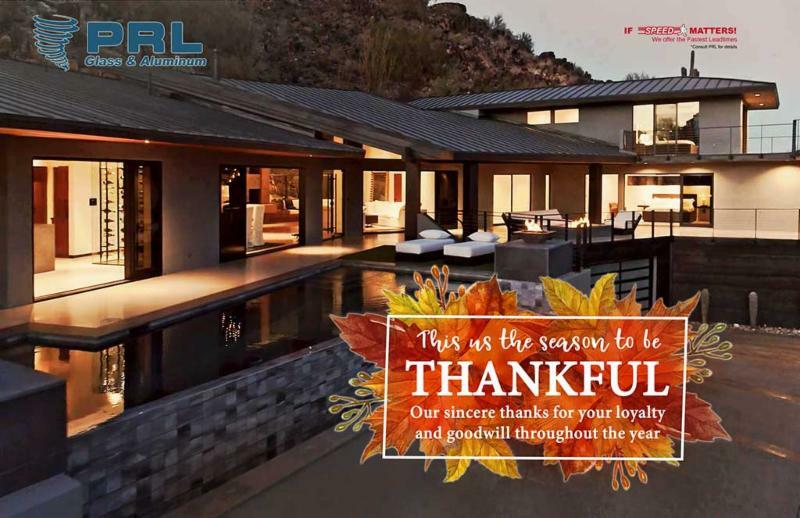 From our PRL family to yours, we wish you a happy Thanksgiving and a joyous holiday season.